Huge Savings Item! 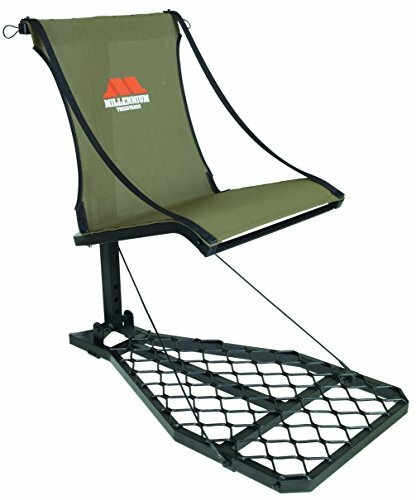 Save 13% on the Millennium Treestands M100U by Millennium Treestands at Freedom from Government. MPN: M-100U. Hurry! Limited time offer. Offer valid only while supplies last. The Millennium M100U Loc-On Lite tree stand is the updated version of the M100. It's 20 percent lighter and is comfortable, quiet and easy to set up. The Millennium M100U Loc-On Lite tree stand is the updated version of the M100. It's 20 percent lighter and is comfortable, quiet and easy to set up. The seat folds against tree for standing shots. It easily folds flat for backpacking. It also has a full body harness certified to TMA standards.